A GREAT RUNNING ONE OWNER 2004 INTERNATIONAL 4200 BOX TRUCK SET UP WITH ALL OF THE GOODIES TO MAKE THE PERFECT MOBILE WORK TRUCK!! THE 14FT SUPREME BODY IS SET UP WITH EVERYTHING THAT YOU NEED FOR A MOBILE UTILITY/SERVICE/ MECHANICS TRUCK. THE TURBO DIESEL MOTOR RUNS GREAT!! AUTOMATIC TRANSMISSION SHIFTS AS IT SHOULD. TRUCK DRIVES NICE TIGHT AND STRAIGHT. A/C FOR THOSE HOT SUMMER DAYS. CRUISE CONTROL AND AM/FM RADIO. THIS TRUCK WAS OUTFITTED BY A LOCAL ENERGY COMPANY. NO EXPENSE SPARED. MILLER BOBCAT 225G 8000 WATT WELDER/GENERATOR. VMAC UNDER DECK AIR COMPRESSOR. TOOL BOXES, SHELVES, WORK TOP, ALL READY TO GO!!! A GREAT INTERNATIONAL BOX TRUCK ALL SET UP AND READY TO GO!!! 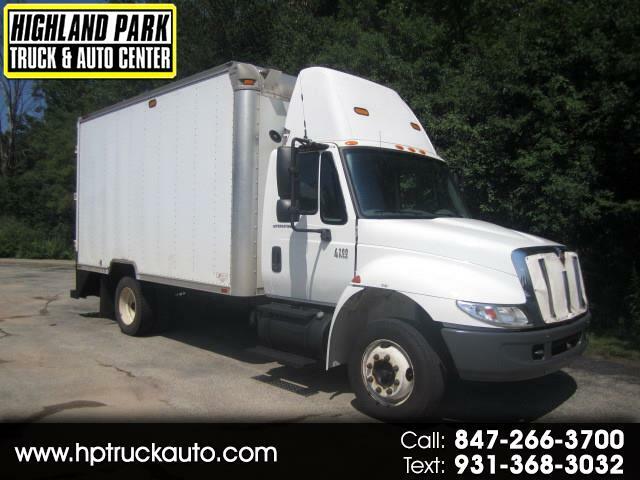 MANY GREAT VANS AND TRUCKS IN STOCK!!! Message: Thought you might be interested in this 2004 International 4200 LP.